Sugar, Water, Invert Sugar, Dutch Breakfast Cocoa (processed with Alkali), Dutch Cocoa (processed with Alkali), Chocolate Liquor, Citric Acid, Natural Flavor, Salt. The rich, sophisticated taste of dark chocolate. Premium ingredients like Dutch Cocoa allow the flavor to come through, even when paired with the bitter taste of espresso. This new formulation includes no artificial preservatives and no GMO. 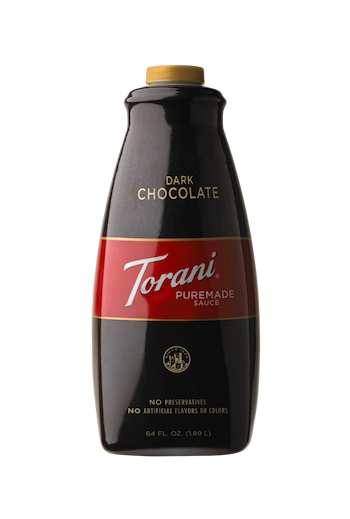 Torani Dark Chocolate Puremade Sauce works well in mochas, blended coffees, and hot chocolates.